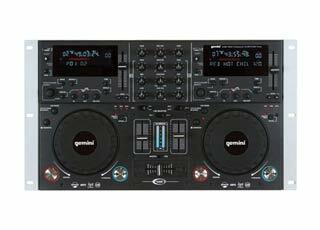 DJ equipment today influences not only the way music is produced but the way music is enjoyed. It was not however always this way, in the beginning the equipment was developed as styles of music grew and changed. Musicians were essentially the engineers, or at least the inspiration for the engineers that gave us the DJ equipment that we have today. By pioneering new techniques with the limited facilities they had available they made it essential for audio technicians to push the limits of what they knew to be possible. At the beginning of the 20th century the first radio Disc Jockey came out of the Herrold College of Engineering and Wireless, located in San Jose, California, where 16 year old student Ray Newby started playing record on a spark transmitter un the authority of radio pioneer Charles Herrold. The world’s first radio station started a movement that would quite literally change the world. The basic concept of transmitting an audio signal has not lost its appeal despite the massive advancements made in the technology used to make the broadcasts. The impact of radio broadcasting was made abundantly clear right at the end of 20th century in Rwanda. Over one hundred years since its inception and it is still going strong, with the exception of the newspaper there are very few media outlets that have shown that kind of endurance without undergoing massive changes. One of early radio’s most important contributions to modern pop culture was the accessible and shared appreciation of music. Before the birth of the Disc Jockey, the radio and the subsequent development ofDJ equipment high-brow or good quality music could only be appreciated by those with the resources to attend live music events. By being able to record and more importantly play back popular music, musicians were free to distribute their music to a much wider audience. Perhaps more importantly to the advancement of modern popular culture a wider audience were able to take part in the shared appreciation of music. The progression of modern DJ equipment was in large part due to the early disc jockeys that took the job of playing records and turned it into a musical art form in its own right. By incorporating the Jamaican practices of “toasting” between songs and extending these chants while they played beats between songs rap music was born. As the art of rapping grew in popularity the DJ equipment required became more advanced as jockeys needed to provide louder music for bigger crowds. Another major advancement for both music and DJ equipment was the accidental creation of scratching as a musical form. Created by Grand Wizard Theodore and DJ Grandmaster Flash scratching is the technique of manually moving a vinyl record back and forth. DJ equipment has changed and developed exponentially over the last few decades and is now am essential part of any club, bar or social venue. This entry was posted in Uncategorized and tagged car, Cash, Crusaders, DJ, equipment, for Sale, Instruments, mixing, music, new, sound, stocked. Bookmark the permalink.